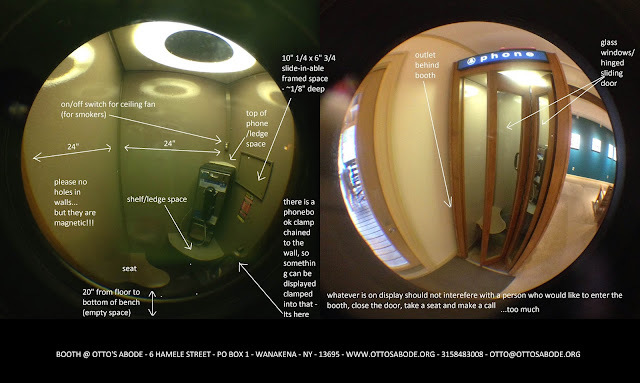 A space within a space, BOOTH seeks to host temporarily located objects and installations delivered in person or by mail. Interested in sharing an object, experience or installation in BOOTH? po box one, six hamele street, wanakena, ny, 13695.